Self confessed local food fanatic and blogger, Dr Vivek Tohani, also known as the Belfast Food Man has been juggling a lot recently, (moving house, along with a busy work load) and now he has taken been proactively doing a good turn for the homeless and less fortunate of the city too. 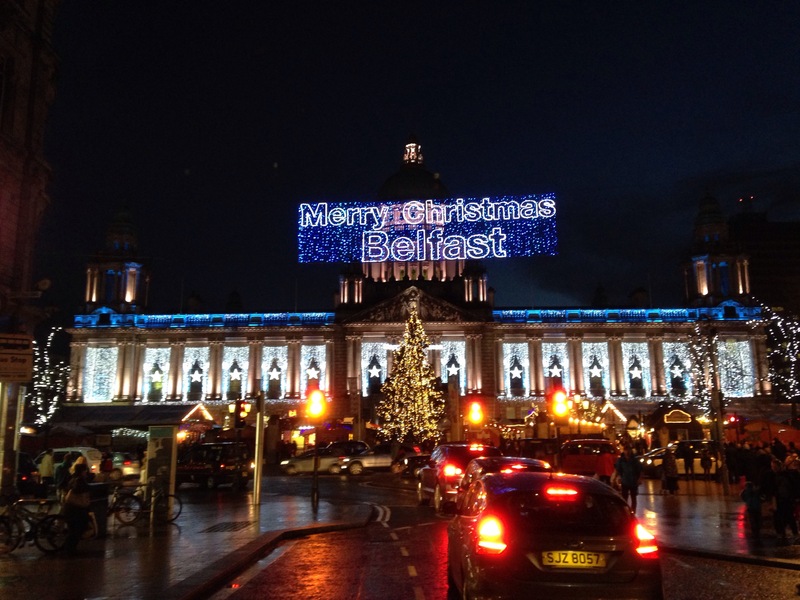 Dr Tohani has joined forces with the local and international traders of the award-winning Belfast Christmas Market, to gather and distribute unused food to those in need throughout the City. Having approached Allan Hartwell, Managing Director of Market Place, (the company who bring the Belfast Christmas Market to the city), they set about working with the traders to prepare left over food for collection and distribution by local charity SOS NI. Belfast Christmas Market traders serve a wide range of continental foods, freshly prepared on the market each day. Given the strict food storage regulations they often have to dispose of left over cooked food. By working with Dr Tohani and SOS NI they can now ensure their remaining food is put to good use. Belfast Lord Mayor, Cllr Nichola Mallon, said Belfast City Council is also supportive of the initiative. ‘We are delighted to see that this food will not be going to waste and collectively we have worked to ensure it is delivered to those who need it in the safest manner,” she said. “Throughout my term in office I have been campaigning to highlight the issue of homelessness and later this week will be hosting a special lunch in City Hall for people whose circumstances sadly mean they are without homes this Christmas. The acid test of a society is how it cares for its most vulnerable members and I never cease to be amazed by the compassion and generosity of people and organisations right across Belfast”. Like all good things, the market must come to an end, with the gates closing on this years festive event on Sunday at 6pm, but until then food collected from the market at the close of business each day will distributed for across the city.